Taipei, Taiwan, 25th October 2013 – GIGABYTE, the world leader in high-performance gaming hardware and system, is pleased to introduce the midrange gaming grade graphics cards, Radeon™ R7 Series Overclock Edition Graphics Cards (GV-R726XWF2-2GD, GV-R726XOC-2GD, GV-R725OC-1GI and GV-R724OC-2GI). 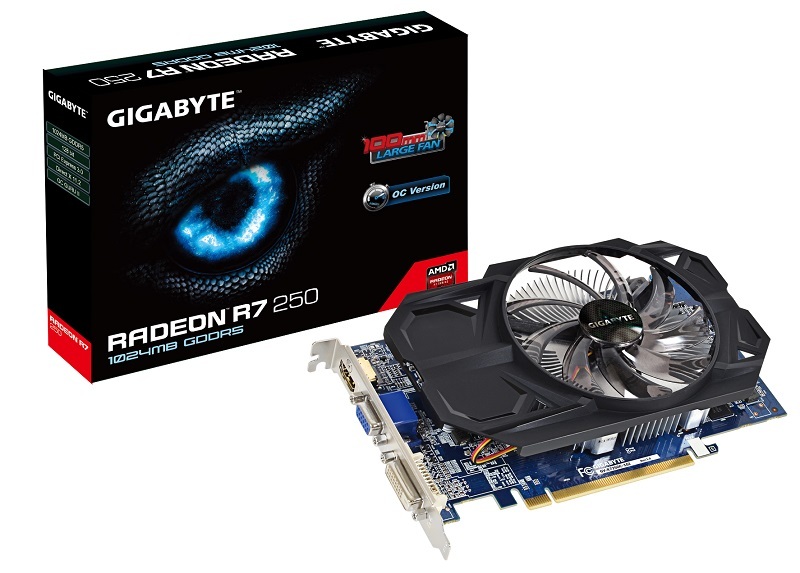 Engineered to be the world’s most advanced graphics cards, Radeon™ R7 Series GPU features the award-winning GCN Architecture for spectacular gaming performance and power efficiency. 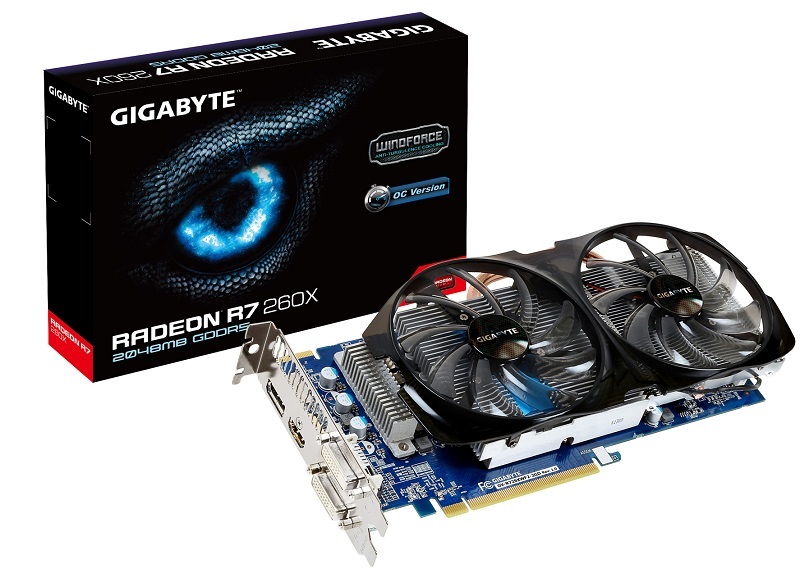 With GIGABYTE’s patented cooling system and factory overclocked, Radeon™ R7 Series guarantees gamers to have the best gaming experience with realistic visuals and fantastic gaming performance! Radeon™ R7 Series also features the latest AMD APP Acceleration, and supports Microsoft DirectX® 11.2, AMD HD3D and PCI-Express 3.0. Looking for a midrange gaming graphics card? Radeon™ R7 Series is definitely the best choice for gamers. GIGABYTE Radeon™ R7 Series not only built with the latest 28nm GPU, but also been factory overclocked by GIGABYTE. Radeon™ R7 260X series (GV-R726XWF2-2GD and GV-R726XOC-2GD) is overclocked from 1100MHz to 1188MHz; R7 250 is overclocked from 1050MHz to 1100MHz. With Radeon™ R7 Series Overclock Edition graphics cards, gamers can have an incredibly immersive HD gaming experience and unrivaled performance. WINDFORCE 2X. Super Cool! Super Quiet! GV-R726XWF2-2GD is specially designed with WINDFORCE™ 2X cooling system. Equipped with 2 ultra quiet PWM fans and copper heat pipe, the WINDFORC 2X cooling system can enlarge air channel on the graphics card vents and creates a more effective airflow system in chassis. It helps to stable the overall performance of the card and brings the ultimate enjoyment of visual quality for gamers.